RAAM Products offers a large selection of paraben-free skin care products, including high-quality, natural products for the face and body. Whether you’re searching for brightening whitening facial creams, activated charcoal facial masks, or other all-natural skin care products to enhance the appearance of your skin, RAAM has the products for you. Our natural products for the face and body are made using high-quality ingredients that rejuvenate, refresh, and relax you. Our all-natural body butters, rose face creams, and hydrating face masks make the perfect gift for loved ones or as a special treat for yourself. Shop our all-natural skin care line today and discover or enhance your skin care regimen! Revitalize dull, blemish-prone skin with RAAM Products’ premium Anti-Acne Face Cream. 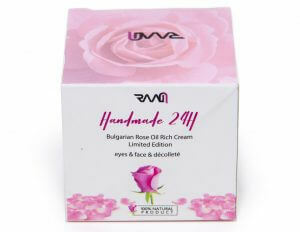 This product is made in Bulgaria with the rare Bulgarian Rose! Soothe your face, neck, and décolletage with RAAM’s homemade skin cream. This rich cream nourishes, hydrates, and fights free radicals for healthier skin. Shop RAAM Products’ luxurious, 100% natural body butter lotion today and discover the perfect way to soothe your skin and calm your senses. 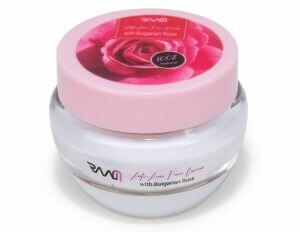 Brighten your skin, counter stress, and minimize dark spots with RAAM’s natural Face Whitening Cream with Bulgarian Rose. Shop today! 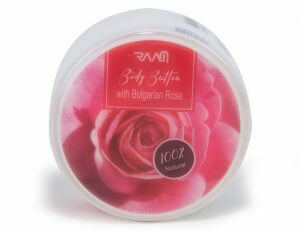 RAAM’s all-natural face cream creates a healthy, glowing complexion and protects your skin with SPF 50. Discover your new favorite lotion today!